Using the XLEG a person can walk normally, safely and pain-free with full mobility and use of their hands. Crutches or crutch alternatives designed for short-term use provide limited use, mobility and versatility. The XLEG allows the wearer to retain their natural gait and remain fully mobile throughout the recovery period which has potential to reduce the overall recovery time. Reduced cost – The XLEG reduces the overall cost due to injury. 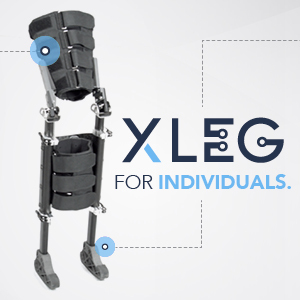 The XLEG allows persons to return to work earlier, have increased mobility and potentially require less medical treatment after non-weight-bearing period. Persons required to be non-weight-bearing for short or long periods of time have very limited options. Crutches or crutch alternatives designed for short-term use provide limited use, mobility and versatility. Existing solutions are known to be painful and cumbersome to operate, and long-term use can cause additional injury. 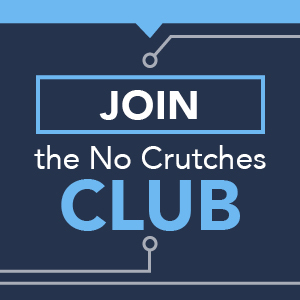 Persons with lower leg injuries that are required to be non-weight-bearing such as a broken foot, broken ankle, or broken lower tibia and fibula. These are normally short-term users (12-16 weeks). Persons required to be non-weight-bearing due to any other medical condition. 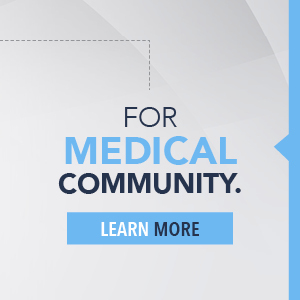 These medical conditions include but are not limited to disability, diabetes, level 3 ankle sprain, some types of knee injury, amputation, etc. These can be short-term or long-term users. Get the latest XLEG news. Take advantage of this revolutionary new mobility aid. 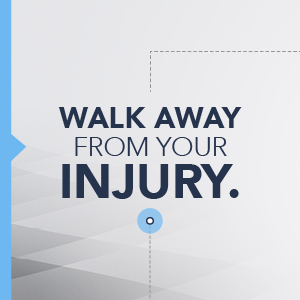 Walk away from your injury with this crutch alternative.